Alice in Chains had hardly anything to do with grunge, the catchphrase for each and every early 90's hard rock band that came out of Seattle. They sounded nothing alike their 'grunge' contemporaries, song structures usually consisted of eerie atmosphere, Black Sabbath like proto-doom metal riffs, wah-driven subtly textured solos and dark, gloomy lyrics. Anyway, 'grunge' is long gone but Jerry Cantrell had other plans. He opted to resurrect AiC from ashes. It becomes nearly impossible for most of the bands to continue after a tragic demise of the frontman and prolonged inactivity. And talking about frontman, dealing with the loss of such an iconic frontman like Layne Staley, who made AiC special with his astounding vocal abilities and harmonizations with Cantrell, it's hard to believe that AiC could return with a different vocalist and deliver something as good as their previous materials like 'Dirt' or 'Facelift'. But AC/DC has done it, why can't AiC? Yes, AiC can and they did. Beside Layne Staley's dark, gritty voice and songwriting, Jerry Cantrell has always been the driving force behind the band. His harmonizations with Layne produced the trademark sound as I mentioned above, he has written almost 70% of the lyrics and he has written some mind boggling riffs. With Black Gives Way to Blue he has done the same as well as re-inventing himself in certain ways. 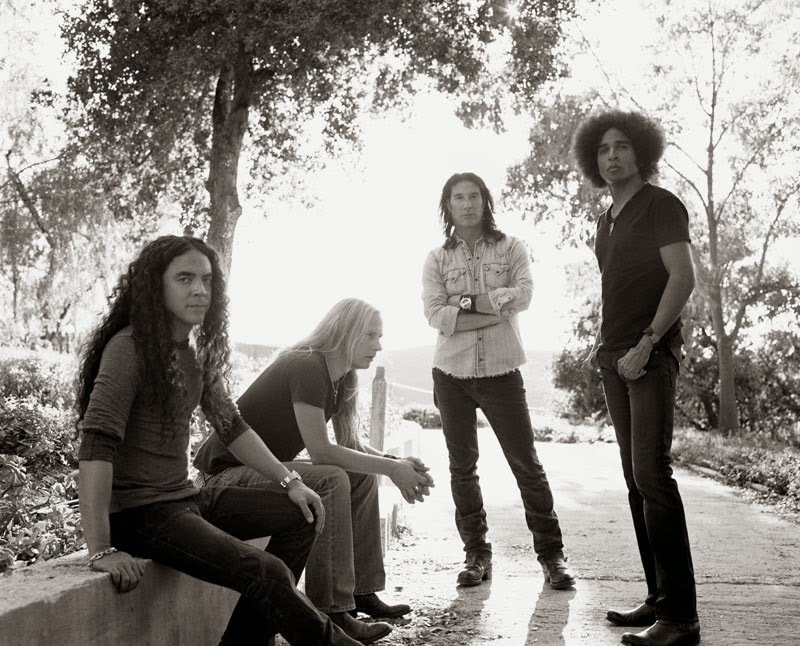 At first, I wasn't too sure about William DuVall but he sure has got a cool and diverse voice which reminded me of something in between Chris Cornell and Ronnie James Dio. "All Secrets Known" announces the rebirth of a tragedy-ridden legendary band when Cantrell sings ''Hope, a new beginning.....Calm, all wounds are healing''. A cracking opener with gloomy and pulsating main riff driving heaviness all the way through. The single "Check My Brain" is a sludgy delight with sort of a stoner rock thing going on. There are enough mellow contents present to complement the overall heavy context of the record. 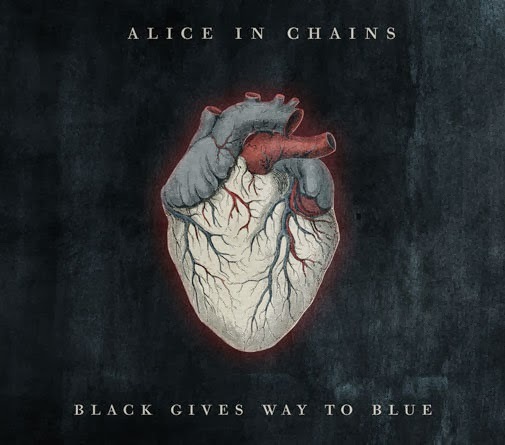 Such as the single "Your Decision" which is a reminiscent of 'Jar of Flies' era, the psychedelic "When the Sun Rose Again" or the title track "Black Gives Way to Blue" featuring legendary pianist Elton John which is a tribute to Layne. View". I've heard some complaints about the production of the album but I haven't noticed any such issues maybe because I've always preferred this kind of murky production on heavy metal albums which brings the heaviness out. Altogether, 'Black Gives Way to Blue' is an impeccable album and nothing short of a comeback masterpiece. Each and every song is rock solid, well written and contains vintage AiC feeling alongwith some fresh new hints on the band's direction. I'm extremely excited for the follow up to this majestic comeback. "All Secrets Known", "Last of My Kind", "Your Decision", "Acid Bubble" and "Private Hell"